"Felix 3D Printer - Printing Head Cropped" by Jonathan Juursema via Wikipedia Commons is licensed under Creative Commons Attribution-Share Alike 3.0 Unported license. Traditionally, most nucleic acid amplification-based molecular diagnostic tests are done in centralized settings. In recent years, point-of-care (POC) tests have been commercialized for use in low-resource settings away from central laboratories. While most experts agree that POC molecular tests are greatly needed, their availability as cost-effective and easy-to-operate tests remains an unmet goal. 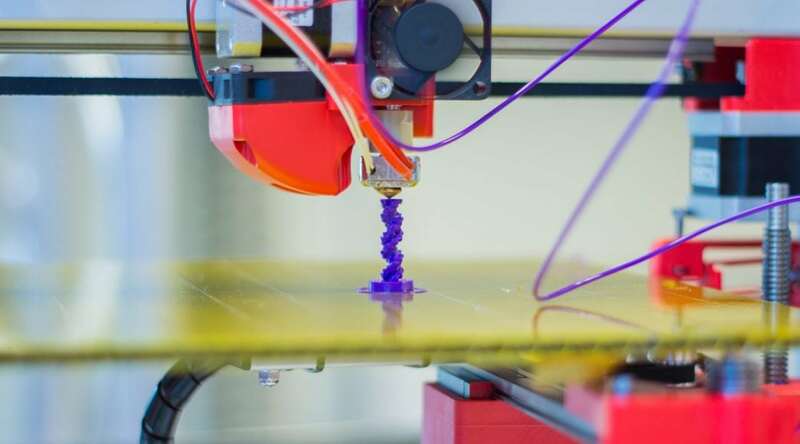 In a recent paper published in Analytical Biochemistry, a startup company in College Station, Texas presented a novel idea of converting a low-cost 3D printer into a device that can perform molecular diagnostics, including nucleic acid isolation (e.g., DNA/RNA) which is often the most difficult aspect of the diagnostics protocols, and thermal nucleic acid amplification using a technique called Recombinase Polymerase Amplification (RPA) developed by TwistDx, a UK company. First, the reach team repurposed a 3D printer as a platform that can carry out medium-throughput, rapid, and high-performing nucleic acid extraction. In 3D printing, users often operate printers via open-source host software such as Repetier-Host (Hot-World GmbH & Co., Willich, Germany) and Cura (Ultimaker B.V., Geldermalsenhe, the Netherlands) to slice the 3D model drawings and convert them into G-code, the language the 3D printer speaks. Next, the G-code is sent to the 3D printer via a laptop or an SD card. To repurpose the 3D printer for nucleic acid extraction, the research team wrote G-codes to control the motion and many other functions of the 3D printer (e.g., controlling the temperature at the extruder and the heated bed) to perform extraction protocols with commercially available nucleic acid extraction reagents. The modified printer shown in Fig. 1 of the paper can process up to 12 samples simultaneously in under 13 minutes for extraction (5-min lysis and nucleic acid binding, 3-min washing, and 5-min nucleic acid elution). As typical commercial sample preparation equipment can cost up to $25,000, the 3D printers the team converted to carry out DNA/RNA isolation cost as little as $399. Using converted 3D printers, high-quality nucleic acid extractions can be accomplished at a cost likely less expensive than the annual service contract needed for the high-cost extraction equipment. After this paper is published, the research team purchased one of the lowest-priced ($160) preassembled 3D printer found on the market and has successfully converted it to perform DNA extraction. With the ability to obtain purified DNA/RNA templates, the team demonstrated these templates can be rapidly amplified by isothermal nucleic acid amplification techniques using the 3D printer’s heated bed (Fig 2, Fig. 3 in the paper). S. enterica (ATCC 19585) was spiked in 2% reduced fat milk at different concentrations (final concentrations of 0, 103, 105, and 107 CFU/mL), in which 100 μL was used in each extraction and the templates were eluted and detected by RPA. The extracted templates were incubated together at 40°C in an aluminum block placed on the 3D printer’s heated bed, and their signal was monitored by a USB-powered detector. Alternatively, the team used a $20 thermos container to carry out isothermal amplification (Fig 3, Fig 2 of the paper) after extraction with a repurposed 3D printer. Uncapped vacuum-insulated, stainless-steel thermos food jars can maintain water at elevated temperature (e.g., at 40°C needed for RPA) for over an hour which is long enough for multiple runs of RPA reaction. A layer of clear mineral oil acts as a lid to minimize heat loss and allows for real-time reaction monitoring using a cell phone placed above the thermos to take pictures at 30s intervals. Six consecutive runs of isothermal amplification and detection of Salmonella DNA by RPA was accomplished and presented using a thermos food jar. The group is currently working under a Phase II NIH Small Business Innovation Research grant to develop an instrument for Chlamydia trachomatis and Neisseria gonorrhoeae diagnostics using the same 3D printer platform but with a cartridge designed for molecular diagnostics application. This low-cost approach does not use complicated and high-cost components, making it suitable for resource-limited settings. When commercialized, it will offer simple sample-to-answer molecular diagnostics. These findings are described in the article entitled Moving toward rapid and low-cost point-of-care molecular diagnostics with a repurposed 3D printer and RPA, recently published in the journal Analytical Biochemistry. This work was conducted by Kamfai Chan, Pui-Yan Wong, Chaitanya Parikh, and Season Wong from AI Biosciences, Inc. 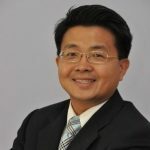 Season Sze-Shun Wong is the co-founder of AI Biosciences. He has over 13 years of experience encompassing a broad range of disciplines including analytical chemistry, electrochemistry, biosensors and chemical/biological defense. He has directed multidisciplinary teams of scientists and engineers focusing on the development of integrated biodetection systems for clinical, environmental, forensic, and homeland defense applications. As a Principal Investigator, he has initiated and successfully secured SBIR and STTR awards that funded over $10 million of research during his professional career. Previous Post« Previous Was An Alien Mummy With 3 Fingers Discovered In The Atacama Desert?